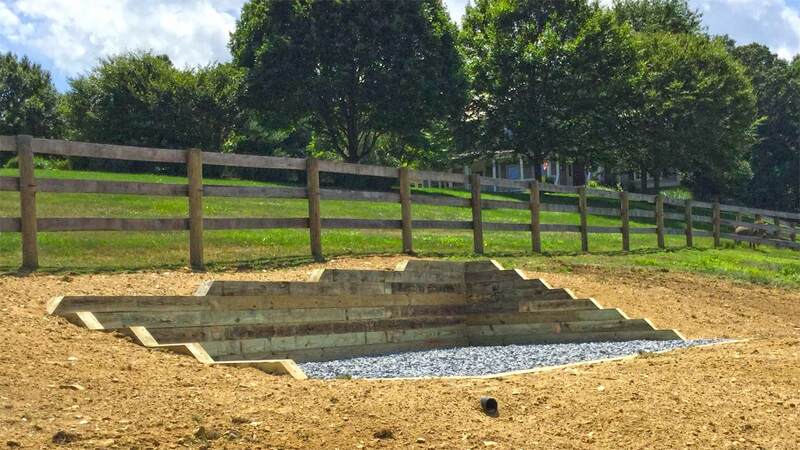 The primary purposes of a retaining wall are to prevent erosion and to increase and enhance the usable space on a property. Every retaining wall is under constant pressure, so designing and building the wall correctly is vital. At BedRock Siteworks, it’s how we do the bracing for retaining walls that makes the difference. We back fill with stone and a drainpipe, and then we cross-brace the wall. This process gives the wall extra strength, carries water away, and lengthens the useful life of the wall. 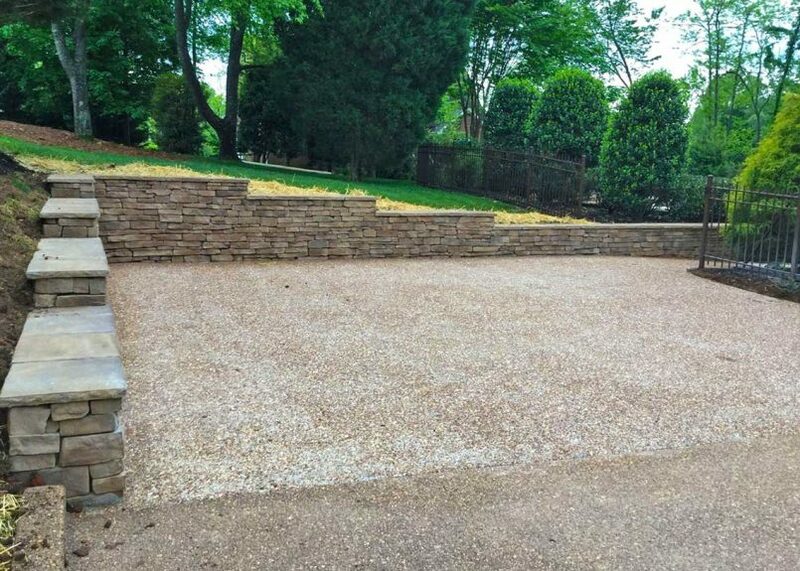 Stone retaining wall with smooth cap surrounds larger driveway.